What is low self-esteem? What causes low self-esteem? Is self-esteem related to confidence? Low self-esteem, despite all the talk we hear about it, is not a specific mental health diagnosis. Low self-esteem does co-exist with several mental health issues including depression and anxiety. 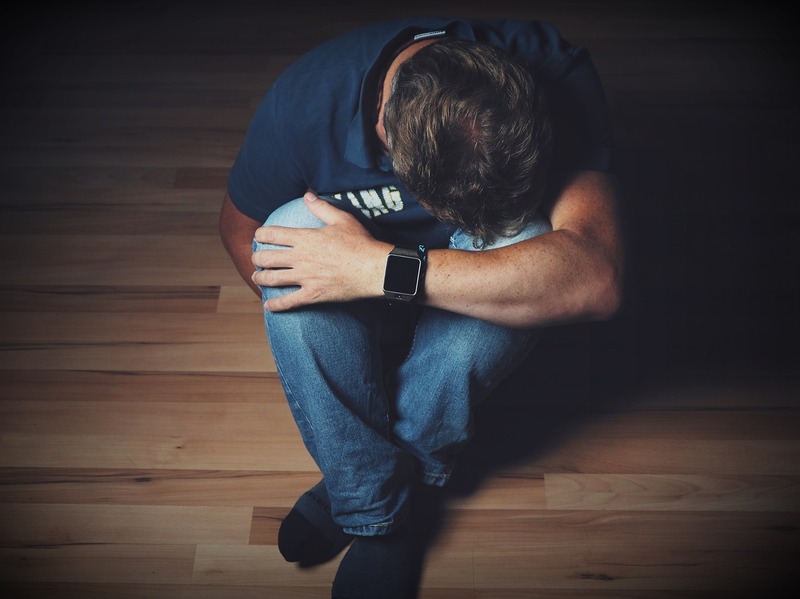 While it is hard to define precisely, it is easy to see in practice and if you have suffered from low self-esteem you know the devastating effects it can have on your life. Definitions of self-esteem vary widely. The Dictionary definition includes such things as your confidence in your merit as an individual person. Also contained in the concept of self-esteem are such things as self-confidence, self-respect, and problems solving abilities. In effect, self-esteem is all about your ability to cope with life. There are many causes of low self-esteem but regardless of the cause low self-esteem can be overcome. People with low self-esteem are frequently high in self-monitoring. They are constantly on the lookout for errors they might be making. The result of high self-monitoring is that we find what we are looking for if you expect to find yourself making mistakes and that is all you look for then you will come to believe that everything you do is wrong. In extreme cases, people who over self-monitor, who never give themselves credit for things well done, become increasingly helpless and hopeless. There is a major connection between low self-esteem and depression. Being depressed reduces your ability to do things you used to be able to do. One consequence of depression is reduced or low self-esteem. But the connection works in the opposite direction also. Having low self-esteem increases the probability that you will rate yourself harshly and one result of this over negative evaluation is to become depressed. Depression is not the only mental health challenge that stems from harsh self-evaluation and low self-esteem. People who believe they are not able to do things and look for evidence become fearful that they will make mistakes. The beginning to expect others to have negative evaluations of them and they look for ways to avoid those negative evaluations. Low self-esteem is a major cause of some anxiety disorders. But this excessive self-evaluation, this inability to give yourself credit for things you are able to do, can lead to other problems also. One way a person with low self-esteem tries to protect themselves is to constantly check everything. They expect to do things wrong, they expect others to be negative about them as a result of their errors so they develop routines of constant checking of everything trying to prevent or correct the smallest of errors. While not the only cause, low self-esteem, and overly harsh self-evaluation are causes of Obsessive-Compulsive Disorder symptoms. In extreme cases, this becomes Obsessive-Compulsive personality disorder. A significant cause of low self-esteem is growing up in a non-affirming family. There was a time that parents were told that to praise the child would give them a “swelled head.” Many parents find it difficult to praise their children for things done right but are quick to fulfill their parental duties by pointing out the child’s flaws. The result is that the child only hears about the things they do wrong and begins to think that they are “wrong.” Believing that it is you that is at fault, not that you are unable to do something is a precipitator of much low self-esteem. Even if your family did on occasion affirm you, failure to affirm yourself or having non-affirming friends can also create these symptoms. Being bullied, teased or rejected, are reasons many children come to believe that there is something inherently wrong with them. The result is chronic low self-esteem. One antidote for low self-esteem is high self-confidence. Being high in self-confidence is a cultural thing. Some cultures believe that to put yourself forward, to assert your ability to do things, is narcissistic and wrong. Our American culture often values those who are high in self-confidence, possibly even high in narcissistic tendencies. We accept sports heroes and politicians who brag about their abilities as long as they produce the results. People with low self-esteem find it difficult to achieve in life. They expect to fail and so often do not try. The result is that if you do not attempt things you never achieve them. Low self-esteem is in this way self-perpetuating. If you have low self-esteem you can learn to accept yourself and feel good about yourself. Raising your self-esteem does not put you at risk to be arrogant or have an excessive opinion of yourself. Increase your self-esteem or better yet stop judging yourself harshly and you may find that your anxiety and depression are reduced or eliminated. Get treatment for that depression or anxiety and you may find that you feel better about yourself and your life. More to come in future posts on ways to reduce or eliminate the problem of low self-esteem. This entry was posted in Self-esteem and tagged Confidence, Counseling, Depression, emotions feelings, esteem, Mental Health, Mental illness, self-esteem by David Joel Miller. Bookmark the permalink. Hi.. please introduce myself,,My name is Hwang Cho Ryeon,,I am Asian,24 years old. I am unemployed. I have been fired from the job I was in twice. I can hardly find any other job bcs of my bad working experience on my cv. Since then, I realized that I am a slow learner. I was fired bcs I did mistakes for so many times and didn’t understand the instructions properly. Well, I have big problem with learning new thing. I used to be a very hardworker but still there always be some flaws on my work. My supervisor always mad at me like, “I’ve said it so many times!”. They did right thing. I didnt blame my previous supervisors who fired me. All I am blaming is my ability of learning and understanding. Because of this,I know my weakness well. This leads me to have a terrible feeling when it comes to talk to someone, I’m always getting nervous and panic when I have to explain something. That’s one of the reason why I got fired. I have bad communication skill. Why, because I am afraid if I’m doing wrong. Ever since the last day of my working, I haven’t applied for any job yet. I have traumatic feeling about getting fired. My mom always scold me and asking why I’m not looking for another Job. In fact, I never told this to anyone before include, (especially) my parents. I told them that my contract was terminated because I had to handle another job outside my Job desc. I didn’t tell them the honest reason. I can’t even share this to my bestfriends bcs they are the people I am envy with. They are the people I wish I could be. They are now having good position in their company with good salary. I feel so much intimidated when we go out for cinema or just hanging out,, they’re all proudly spending their self-earn money and sharing their working experience. Meanwhile, I am still using my parent’s money,, and the leftover money from my last salary.Things are getting harder for me when they ask what my daily activities are. In fact Im just doing nothing at home. I keep telling lies to everyone. I am really afraid to tell the truth and to be judged. Having myself as a slow learner has already become the most hurtful thing I have to face. Now I am fighting so much againts my own anxiety and low self esteem. I am so afraid what if I never get a proper job. I am really expecting for you to do me a favor about what to do? What am I supposed to do ? I am so much thankful for your help.. Since we have not met and I do not have a full history of your situation I can only make some general suggestions. Can’t do therapy over the email, but I would recommend that you seek out someone in your area to work on this problem. A counselor, possibly a career counselor could really help you both on your self-esteem issue and on why you were finding it so hard to learn the job. It is possible that you have a different learning style or a specific learning disability. Some people can learn by hearing directions and others will never get the task that way. Some people learn better by watching another do the job or by having someone move them through the motions. We call those learning styles, auditory (verbal) Visual and Kinesthetic. You may have a lot of talent in another area but just not be suited for the position that you were in. Find a job that you like doing and you will learn the whole process. You used the expression CV which suggests to me that you did well enough in school to graduate. You appear to have skills; you just have not yet found the place you need to apply them. Great musicians do not make good radios. A good teacher may have no skill in building classrooms. Find the task you were meant to do and you should do just fine. Work on that anxiety issue. The more you worry the bigger it will get. Find out what your life purpose is and you can create the happy life you deserve.